Did you miss this year’s PDAC convention? We’ve gathered all our energy video interviews from key speakers in one place. This year’s Prospectors and Developers Association of Canada (PDAC) convention, held in Toronto from March 3 to 6, featured key presentations from mining experts and CEOs. The Investing News Network’s (INN) editorial team was busy throughout the four-day event, engaging with companies, attending events and, of course, interviewing industry experts. For those interested in energy, we’ve listed of all our related coverage at the event. You can also click here to check out our precious metals round-up and here for our base metals round-up. INN went live for the first time at this year’s PDAC, speaking with Lobo Tiggre, CEO of Louis James LLC, on the first day of the show. Tiggre, who has been a staunch believer in the future of uranium as an in-demand global energy fuel, reaffirmed his stance that uranium is still on its way up. “I do think uranium’s time has come,” he explained, going on to say that investors should take advantage of broad market volatility to get into the uranium sector. Self-professed contrarian Mercenary Geologist Mickey Fulp remains optimistic about the future of the uranium sector, even though mild volatility has kept spot prices hovering at or below US$29 per pound. At PDAC, Nick Carter of UxC said he expects uranium prices to “trend a little bit higher” in 2019. 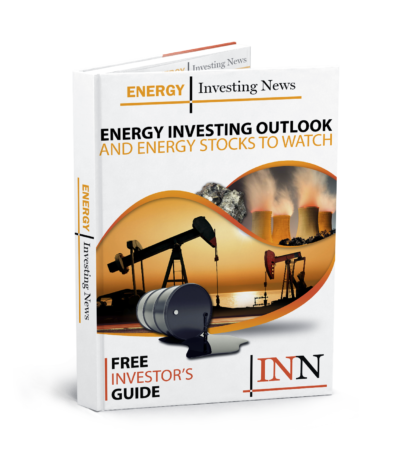 INN caught up with Leigh Curyer, CEO and director of NexGen Energy (TSX:NXE,NYSE:NXE), at PDAC to discuss the current uranium market, mining in Saskatchewan and what’s on the horizon for 2019. Watch the interviews above for more from Tiggre, Fulp, Carter and Curyer. You can also click here to view our full PDAC 2019 interview playlist on YouTube.